Must show valid Clovis identification to claim offer. Must present Clovis resident special offer coupon to salesperson prior to price negotiations to redeem offer. Ends 12/31. Plus your purchase includes our Exclusive Engine for Life Warranty! Your engine is covered for as long as you own your car. 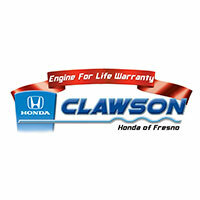 At our Honda dealership near Clovis, CA, we know exactly what you’re looking for from your car dealership. You want a convenient location with low prices and friendly, expert customer service. Well, if you make the short drive to our dealership, we can do all that and more! Clawson Honda of Fresno is known as the YOU dealership, which means we tailor the car-buying experience to your specific needs. Our outstanding sales team will work with you to determine exactly which type of vehicle you need, and then they’ll help you save big. If you drive to our dealership in Fresno, CA, from Clovis, we’ll give you our All Season Protection Package! * All you have to do is make the quick drive, and you’ll gain access to exclusive offer. Here at Clawson Honda, we promise to make you our top priority. We’ll never stop trying to exceed your expectations, and we’ll always be honest and transparent. That’s what makes us the YOU dealership! To experience our outstanding customer service for yourself, stop by today. We’re just a quick drive away from Clovis! Warranty for current plus 10 prior model years with under 100,000 miles. offer good with purchase of new Hondas. See dealer for details.